Oxfordshire amateur golfer Craig Hinton aims to use next week's Open Championship as a stepping stone to progress in his career. 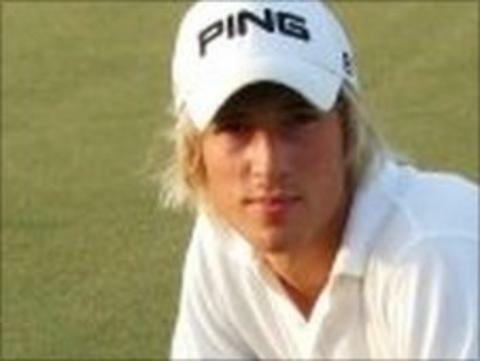 Hinton, 22, who shot five under in qualifying to secure a place in the event at Royal St George's, hopes to turn professional next year. "This is a massive stepping stone for me and the biggest peak of my career," he told BBC Oxford. "If I do well it'll put me in the right direction and I'll go from there." The Thame-based golfer said qualifying for the tournament was a dream come true, after he recovered from the heart condition, myopericarditis, earlier this year. "Four months ago I was told I wouldn't play golf for six to 12 months, so for that to turn around so quickly is a massive dream," he said. "It was major frustration to have another setback with my heart. I didn't know where to turn but a few months down the line I'm back to playing again. "Obviously there will be less pressure for me to perform at this tournament, but I'm going to go there with no expectations, I will feel nervous on the first tee but I'm just going to relax and take it as it comes." Hinton's hero, Tiger Woods, is no longer competing at the tournament, having pulled out through injury, but the Oxon youngster says he is still excited to play at the event, especially against the in-form Rory McIlroy. "As a role model it's been Tiger the whole way, but in recent times I've looked up to Rory McIlroy," he said. "I'd love for Tiger to be there, I've always been a massive fan of his so it's unfortunate but hopefully at one stage in my life I'll play against him. "If Rory starts hitting balls next to me I'll be slightly star struck, but this is a competition so I'll have to focus on what I'm doing."